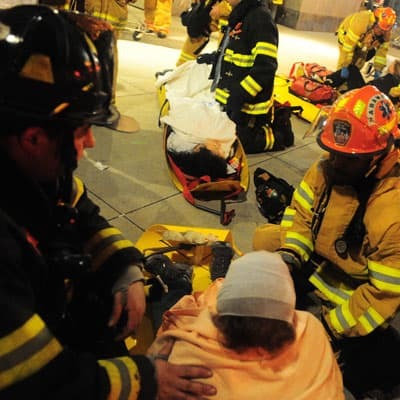 Firefighters, Paramedics and EMTs are your friends. It’s easy to feel afraid of something that’s not familiar to you! Firefighters, Paramedics and EMTs might look a little scary if they’re all dressed up in their fire gear and carrying their equipment. But firefighters, paramedics and EMTs are here to help you! They might be wearing helmets or special hats, big belts, heavy boots and even a face mask! But don’t be afraid, you can always count on them to help you when you need and they might even save your life when there’s a fire. Call out to them to let them know where you are! They can help you get out of your home and get to safety.